Sam has spent his career meeting and exceeding client expectations. Sam is a Professional Engineer, Registered Planner and Professional Land Surveyor. He began his career as an inspector for construction of a sewage treatment plant for the City of Yonkers, NY and moved on to construction management for Exxon and Shell in the New York City area. 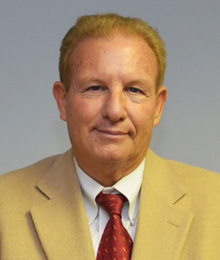 Sam joined RKR Hess Associates in 1974 as an environmental engineer and has been in charge of the design, construction, and operation of 27 sewage treatment plans in the Northeast Pennsylvania area. He has also been involved in the construction of numerous buildings and water facilities as both a design engineer and a construction inspector and management professional. Sam has appeared as an expert witness and provided professional opinion testimony in environmental, zoning and land planning matters across agencies and courts in PA , NJ and NY. 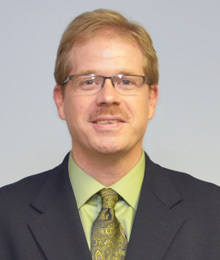 Sam serves as the Municipal Engineer for the Borough of East Stroudsburg, Brodhead Creek Regional Authority, Mt. Pocono Municipal Authority and Portland Borough Council. Sam holds a BS in Civil Engineering and MS in Environmental Engineering from New York University and has taken various continuing education classes and received certifications in sewage regulations, underground storage tank regulations and has served as the Chairman of the Pennsylvania Sewage Advisory Committee and Enforcement Officer Certification board. Sam currently serves as Director of Engineering Services for RKR Hess, a division of UTRS. Wayne is a Professional Engineer with expertise in environmental issues, specifically with respect to sewage treatment plants. 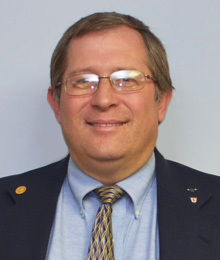 A member of the American Society of Civil Engineers and the Association of State Dam Safety Officials, Wayne has been with RKR Hess since 1989. Wayne designs wastewater treatment plants and upgrades and coordinates submissions to agencies for approval. He is well versed in site visit, and on-site testing for sewage treatment issues. In addition he has performed and coordinated the annual dam inspections of more than 30 dams and prepares reports, with recommendations for PA DEP. Wayne received his BS in Environmental Engineering from Pennsylvania State University and is registered as a PE in Pennsylvania, Sewage Enforcement Officer, Sewage Treatment Plant Operator AO STP and Waterworks Operator AO WTP. 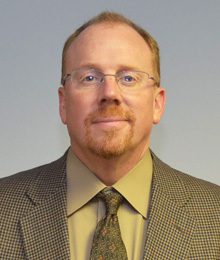 Prior to joining RKR, Wayne worked as a Public Health Engineer for Orange County, New York Health Department. Wayne currently serves as Program Manager for RKR Hess, a division of UTRS, Inc.
Nate is a Professional Engineer who specializes in management of land development. He is the section lead for the land development section of RKR Hess and is responsible for the preparation, design and presentation of residential and commercial projects for municipal, agency review and implementation of the project in the construction phase. He also serves as the municipal engineer for several municipalities. Nate manages projects of varied size and complexity. Prior to joining RKR Hess, Nate worked in the construction industry on residential and commercial buildings and sites. Nate also has served as an expert witness in engineering, zoning and land development matters in front of numerous courts and agencies. Nate holds a BS in Civil Engineering from Pennsylvania State University and has taken continuing education in storm water management, and project management. Nate serves as a Program Manager for RKR Hess, a division of UTRS, Inc. with management over the land development section. Russ has been a project engineer and manager responsible for design, permitting, bidding and construction administration of various projects such as Public Water Supply upgrades in compliance with the Surface Water Treatment Rules. Russ handles marketing, client relations, approving proposal, budgeting, scheduling resources and plan review within his environmental engineering specialty. Russ’ projects speak volumes to his knowledge and integrity he brings to all his work. He has served as a special consultant to Borough of the Delaware Water Gap for bidding and construction of a public water system upgrade. He has the lead design engineer of a 15,000 GPD wastewater treatment plant at Monroe County Area Vocational Technical School. Russ holds a BS in Civil Engineering and a MS in Civil Engineering from Lehigh University. He has taken various courses in program management and environmental and safety treatment and is a PE in the Commonwealth of Pennsylvania.